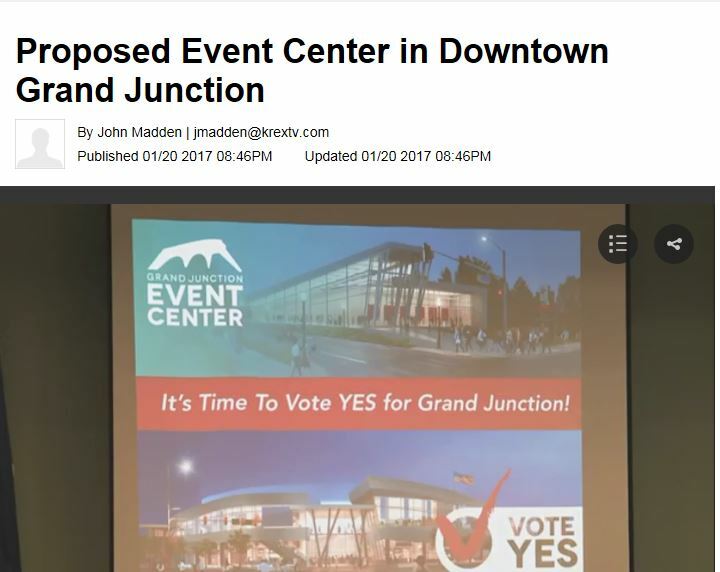 January 24, 2017 – Last week, in its first meeting of the year, the GJEP Board of Directors voted unanimously to support the City of Grand Junction’s proposal to renovate Two Rivers Convention Center and expand the facility to a new, multi-purpose event center complete with a minor league hockey team and year-round activities. Board chair, Tim Fry, was interviewed by KREX on why GJEP supports the event center – watch the segment here. The event center is expected to draw 80,000 new visitors to Grand Junction annually and add $30 million in retail sales revenue. If approved by voters in April, the project will be funded by a 0.25% sales tax increase in the City of Grand Junction – the equivalent of $30 per household per year. For more information on the proposed event center, read GJEP’s press release or visit gjeventcenter.com.